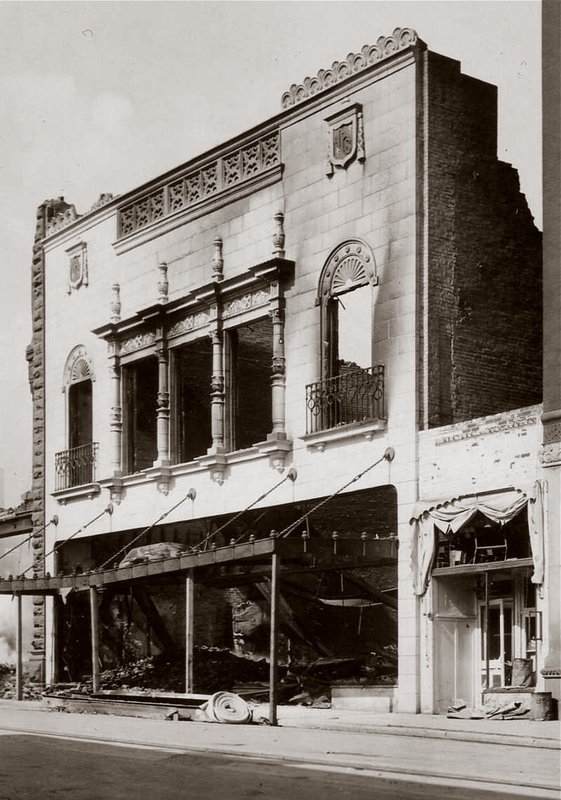 In the early-morning hours of July 16 1928, flames erupted from 28 N. Main St., the building which housed the Curtis Cafe and the Maverick Pool Hall. 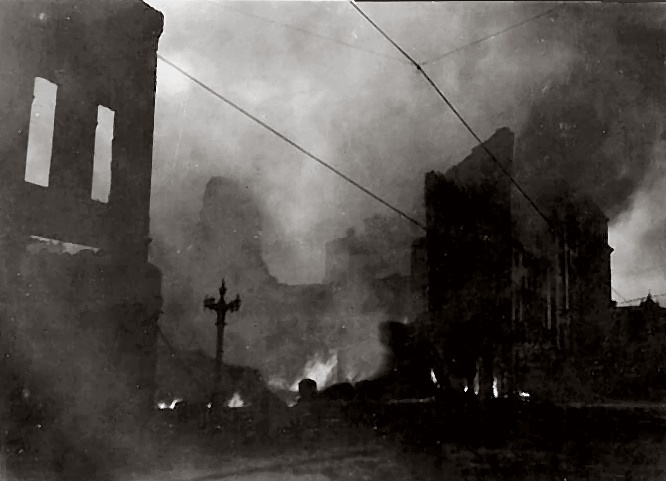 The rapidly-spreading fire was discovered and reported at 2:00am by Johnny Bukowitz, a printer at the Helena Independent newspaper, who happened to be passing the cafe. No sooner had the Helena Fire Department responded to the blaze than a torrential hour-long rainstorm began, hampering firefighting efforts but wetting nearby roofs, preventing an even greater catastrophe. Roomers in the adjacent buildings fled into the streets, where they were soon soaked to the skin by the downpour. 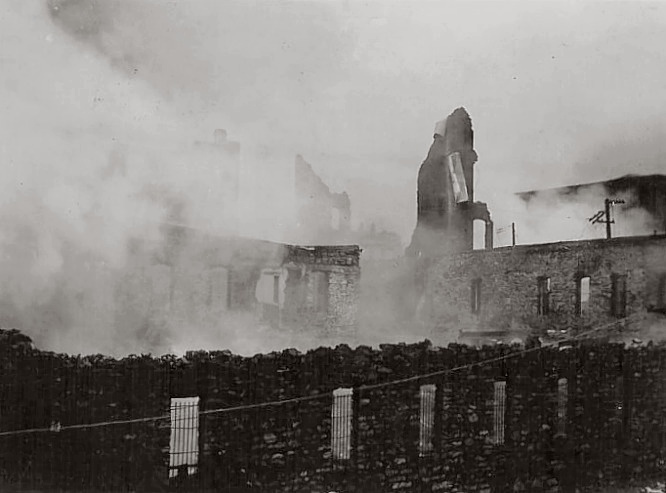 The storm brought with it shifting winds, which threatened to carry embers in every direction. Frequent lightening bolts illuminated the surreal scene. In two hours time, the fire was completely out of control, and had spread north destroying numerous businesses. 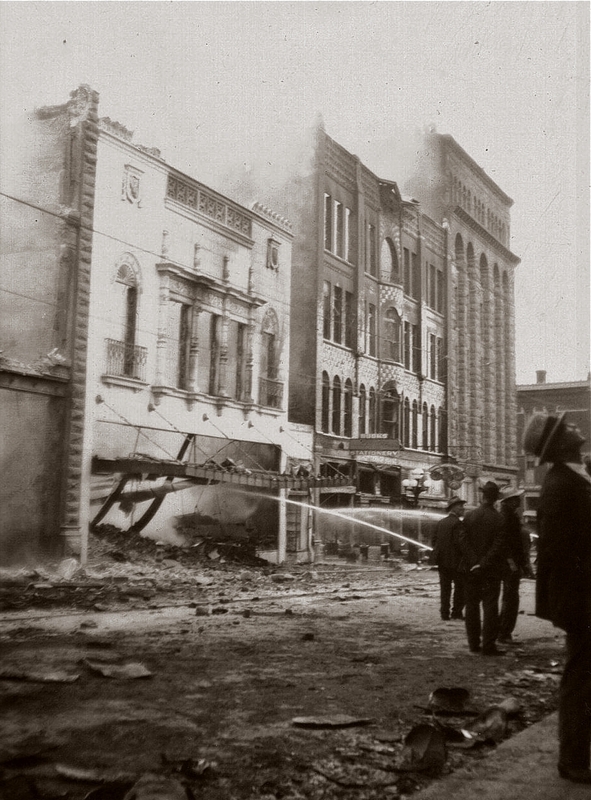 It also crossed over to the east side of Main St., damaging several buildings. 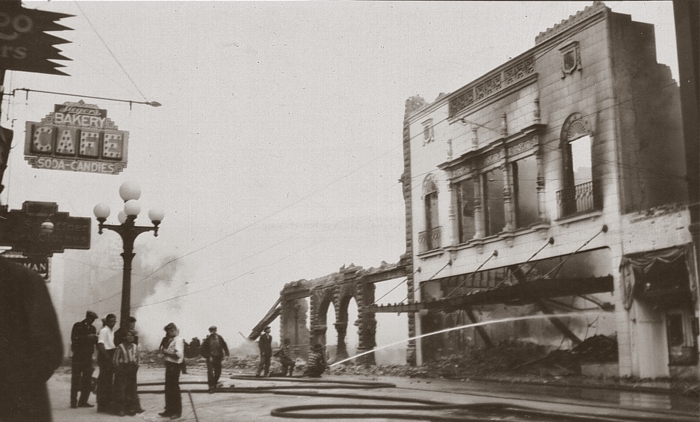 Firefighters began concentrating their efforts on saving buildings on Sixth Avenue and the east side of Main. 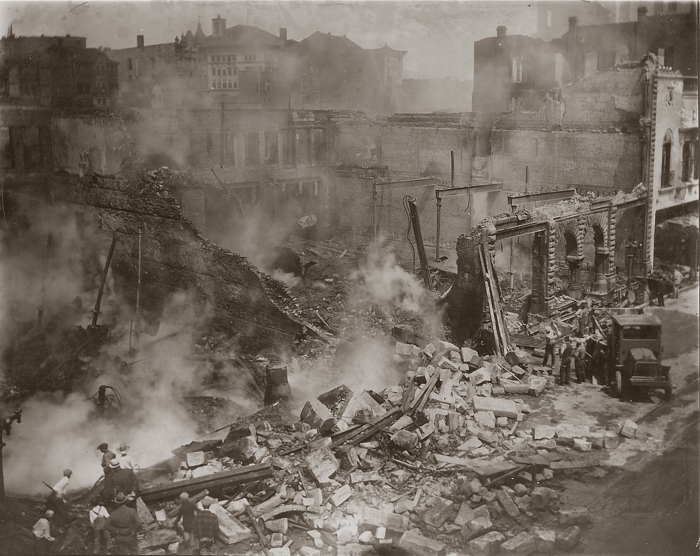 Shop owners and other businessmen hurriedly carried goods, equipment and records from threatened buildings. 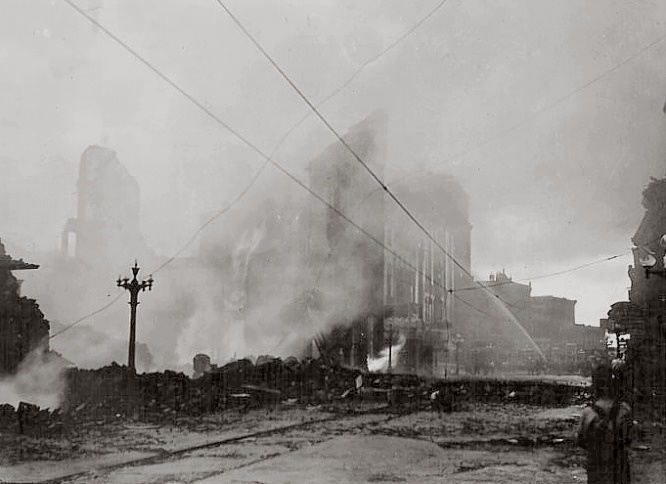 Explosions were heard when the blaze touched off chemicals stored at the Budd-Fisher Drug Co. Helena's Western Union lines were severed by the fire. By 6:00am the fire was brought under control, but had destroyed several large commercial buildings housing dozens of businesses. 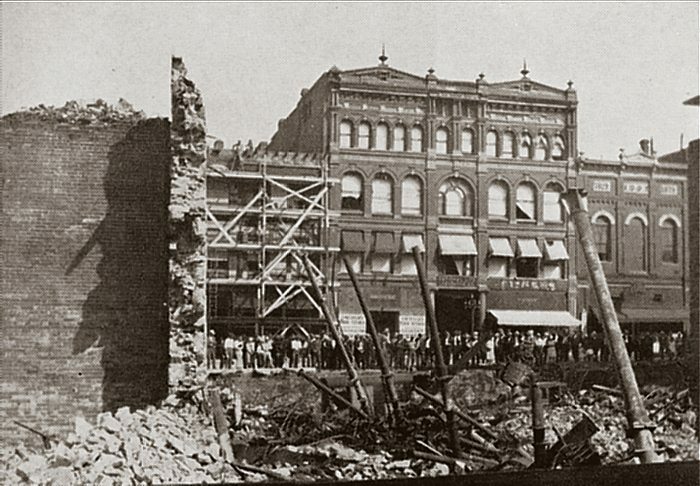 The Granite, Bailey, Gold, and New York Store blocks were reduced to rubble; the Power Block, the A. P. Curtin Block, the Pittsburgh Block, and several other buildings were damaged. 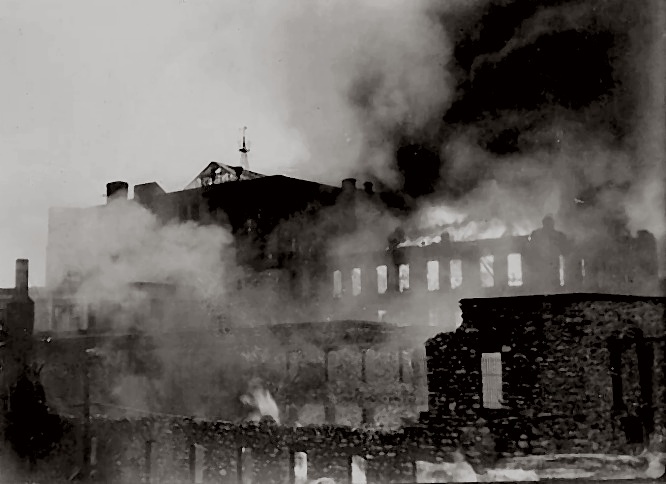 The blaze was far beyond the power of the Helena Fire Department to cope with; water pressure was adequate, but too few hoses and too few men could be brought to bear. Rubble and debris from the fire was carried away via this approach, working eastward toward Main Street. 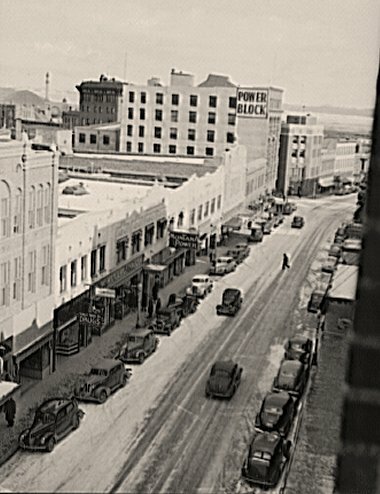 Jackson Street, parallel to Main and one block east, was jammed with traffic for months after the fire due to construction on Main. The New York Store would reopen as Fligelman's. 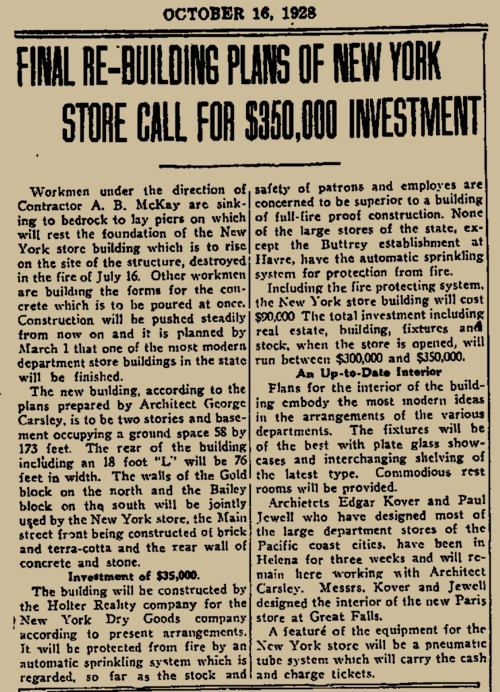 It would become a part of the J. M. McDonald Co. department store chain in 1958. McDonald's closed in the late 1970s. The building has been remodeled inside and now houses various businesses.